Janet and her husband Wissam Al Mana have brought even more greatness into the world! The 50-year-old gave birth to her first child, a baby boy named Eissa Al Manna, on Jan. 3, and that means we have another little Jackson to add to the ever-expanding family tree. Considering Janet is the youngest of the Jackson siblings and the last to welcome a child (so far), Eissa's cousins are all quite a bit older than him. His eldest cousin, Rebbie Jackson's daughter Stacee, is 46-years-old. 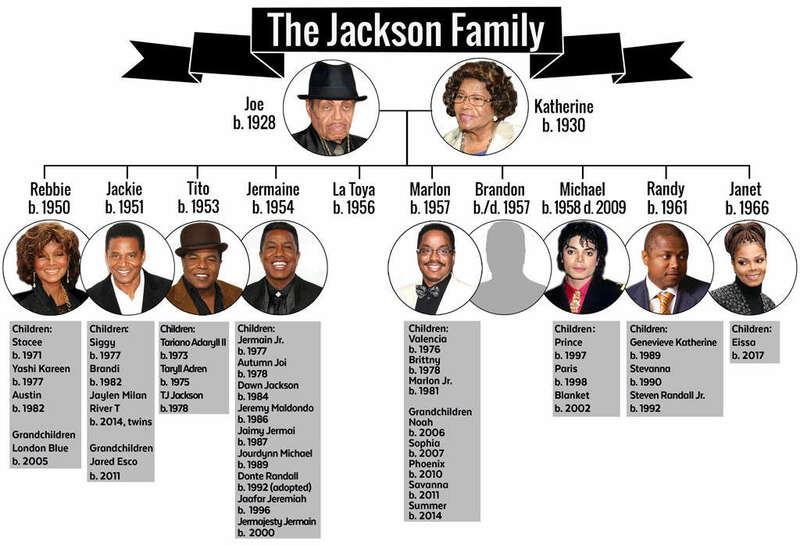 However, Janet's brother, Jackie Jackson, was the most recent of the singer's siblings to have not one but two children. At 63-years-old, Jackie and his third wife, Emily Jackson, welcomed twins Jaylen and River into the world in 2014, giving Eissa his youngest cousins and the closest in age. Eissa is also close in age with the generation of Jackson grandchildren, including Marlon Jackson's youngest grandchild, Summer, who was born in 2014. Still, despite the age difference, we don't doubt the baby will build a solid relationship with all his cousins, including 's three children, Paris, and Blanket. Meanwhile, Janet married Al Mana—a Qatari billionaire and businessman—in 2012, and in May of 2016, E! News confirmed they were expecting. In the past, Janet had discussed her wishes to have children and was open to the idea of adoption if she was unable to give birth herself. Talking to she said, "Sure, I'd adopt, and I think that if I'm really supposed to have kids, it will happen, if that's God's plan for me." We can't wait to see what path Eissa takes. Congrats again to the family!